This is the 2016 edition of the CURE Brochure detailing the Consortium's basic information, as well as its activities, source of funding and details of contact person. 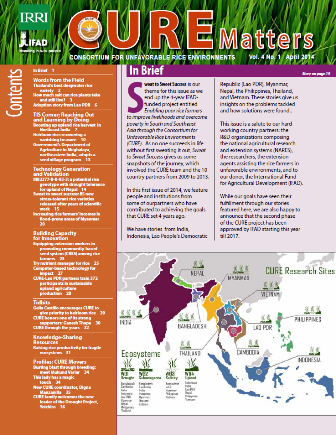 Newsletter produced by the Consortium for Unfavorable Rice Environments (CURE) with support from the International Fund for Agricultural Development (IFAD). Lack of access to good-quality rice seeds, inadequate storage facilities to keep seeds healthy and viable for the next cropping season, not haing enough money to buy seeds, and experiencing long hungry months -- these are some of the reasons Arakan Valley farmers adopted the community-based seed systems (CBSS). This chapter discusses CBSS has evolved in the area and how it was able to help farmers to raise their productivity and preserve their time-treasured landraces. 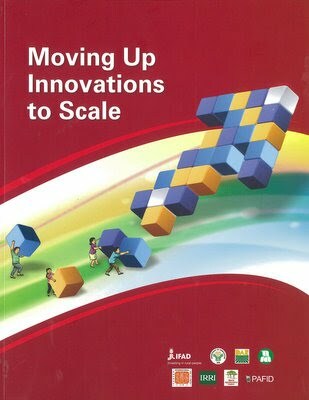 This book chapter was developed by CURE as part of "Moving up Innovations to Scale" published by International Fund for Agricultural Development (IFAD). Enumerates the steps undertaken by rice farmers in Arakan, North Cotabato, Philippines, in forming their own community seed bank. CURE has developed this manual on the concept of CBSS. 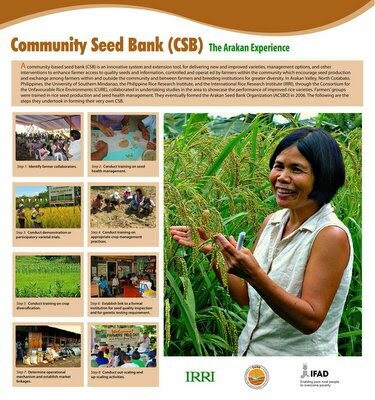 This publication is replete with information on the role of seed banks in rice production systems, their context, methodology, and requirements, and on delivering appropriate seed technologies and management practices to ensure seed and food security, and enhance agricultural biodiversity. Participatory varietal selection (PVS) is a simple way for breeders and agronomists to learn which varieties perform well on-station and on-farm and to obtain feedback from the potential end users in the early phases of the breeding cycle. It is a means for social scientists to identify the varieties that most men and women farmers prefer, including the reasons for their preference and constraints to adoption. Based on IRRI’s experience in collaboration with national agricultural research and extension system partners and farmers, PVS, which includes “researcher-managed” and “farmer-managed” trials, is an effective strategy for accelerating the dissemination of stress-tolerant varieties. PVS has also been instrumental in the fast release of stress-tolerant varieties through the formal varietal release system. 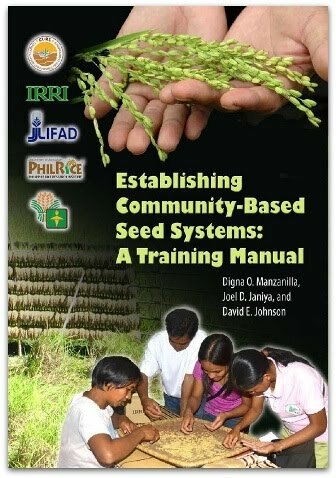 This guide on PVS will complement the various training programs given by IRRI for plant breeders, agronomists, and extension workers engaged in rice varietal development and dissemination.